Clearwater Beach is always a popular spot for both locals and people visiting the Bay Area. However, living in Tampa it’s easy to not take advantage of all the bay has to offer. 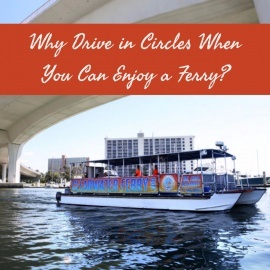 The Clearwater Ferry is an amazing way to visit many waterfront hotspots without the hassle of navigating traffic and hustling to find a parking spot. After a recent community poll, the Clearwater Ferry now easily transports guests to and from North Beach and Caladesi Island. The Ferry departs from downtown, Clearwater Beach Marina, and North Beach starting as early at 6:00 am and runs continuously every hour. The Island Estates and the Clearwater Marine Aquarium stops begin at 9:25 am, running through the day. (Varying slightly by location – the Ferry Services website has a complete listing. Click over to their 813area business page and head to their website for details. There are also private charter options, an amazing solution to the more played-out celebration spots we tend to choose in Tampa bay. Renting a room at a run-of-the-mill restaurant pales in comparison to chartering a ferry to Caladesi Island! There is a limit to the party size (21 people), and the trip cost is $400, you might be thinking, "Whoa, that's a lot. ", but think about it, it's spacious enough and the perfect size for a bachelorette party, birthday excursion, or a group of friends. Want to take advantage of everything Caladesi Island has to offer? For 21 friends that is only $19.04 per person for a fun new experience! If you’re a native Floridian, you know there is so much more to the beaches than simply sand and surf. Scalloping, shelling, having a picnic on the beach, and enjoying a delicious beach beverage, before heading back to Clearwater Beach where you can choose from a multitude of fine local restaurants – there are a million ways to enjoy our stunning weather and easy, laid back lifestyle, the Clearwater Ferry serves to makes it better and safer! Drinking and driving are expensive if you get caught, it's not worth the risk! Let the ferry transport you, Uber in and out, leaving the driving to the captain while you relax! Dunedin, one of the unsung heroes of the Bay Area is a picturesque, old-Florida town full of amazing places to eat and shop. We've heard a rumor that a ferry route is in the works to Downtown Dunedin. Hoorah to that, honestly this route can't materialize fast enough for us if these rumors are true! We hope the route will be in place soon! If a route from Clearwater Beach to Downtown Dunedin sounds good to you too, sound off in Comments below, the Ferry Service will see your thoughts! As a Tampa Native, it’s easy to forget we live in such a beautiful, relaxing and diverse place. 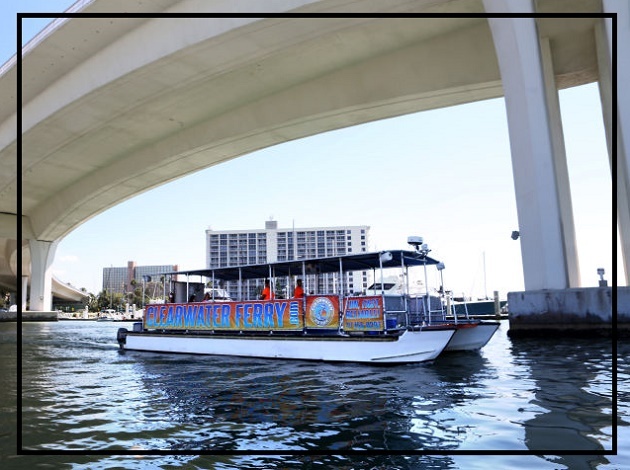 However, new additions – like the Clearwater Ferry Services with their new routes to No. Beach and Caladesi Island make finding fun new destinations during a well planned day trip feel like you’re discovering treasures! One stop to park, or Uber in, and everything the beaches offer is just a boat ride away thanks to the ferry's willingness to listen to their customers and service their needs. 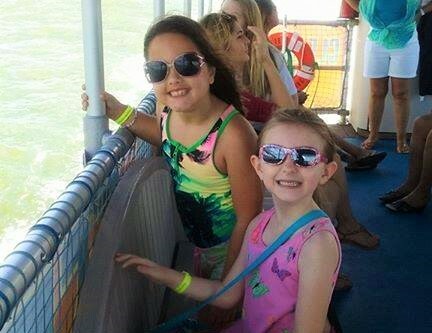 If you've not hopped aboard the Clearwater Ferry it's time, take a break and take a ride today!